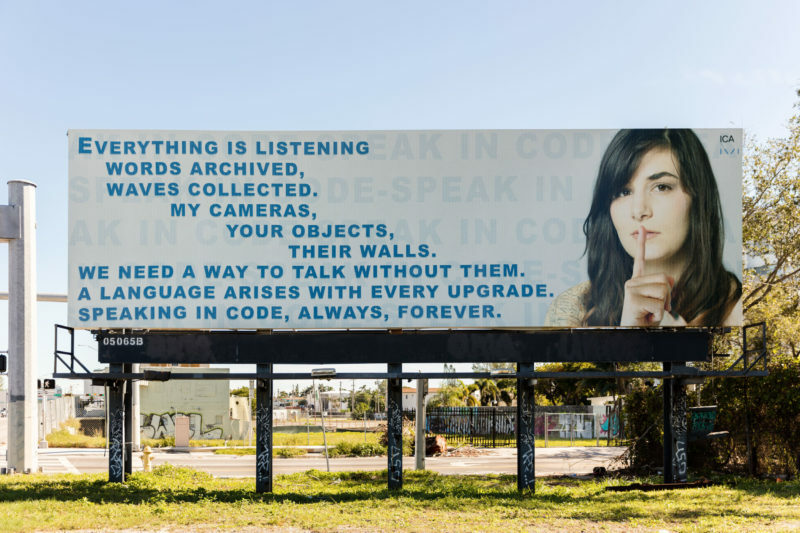 Installation view Jillian Mayer, Billboard for ICA Miami. 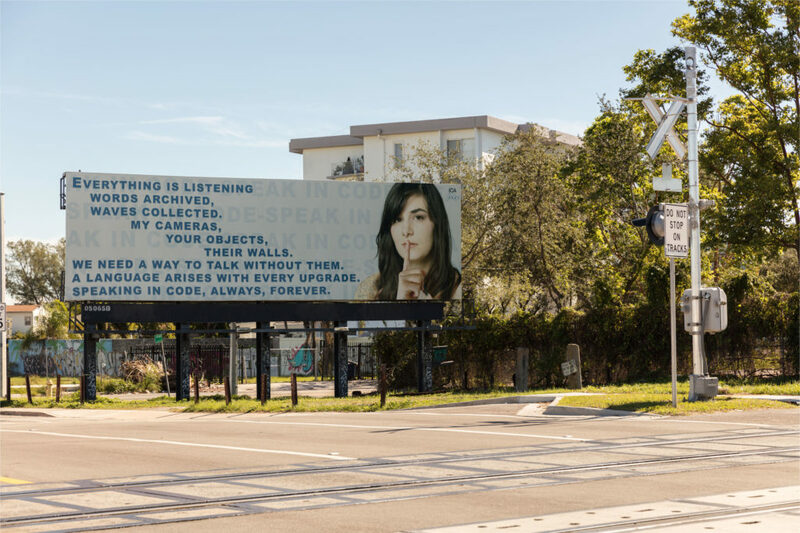 Courtesy the artist and Institute of Contemporary Art, Miami. Photo: Fredrik Nilsen Studio. 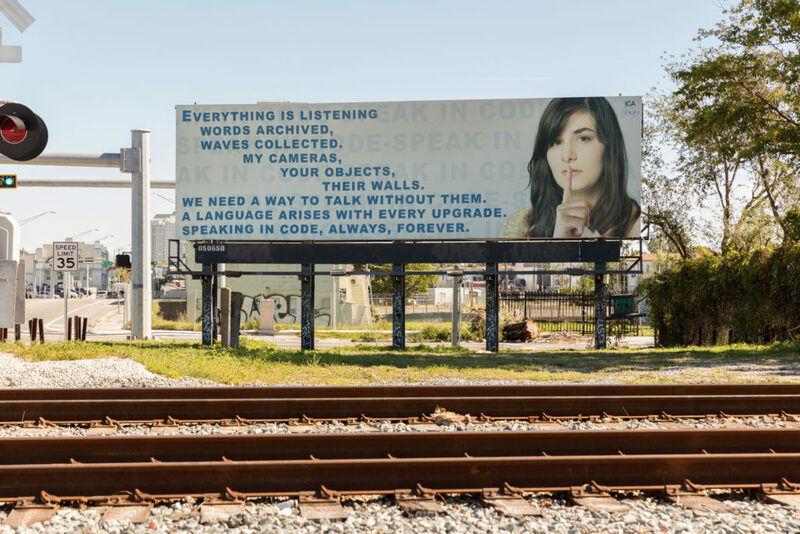 Highlighting its ongoing role as a platform for leading Miami-based artists, ICA Miami commissioned a large-scale public artwork by Jillian Mayer. Jillian Mayer (b. 1986, Miami) is an artist and filmmaker. Her work explores how technology affects our identities, lives and experiences. Through videos, online experiences, photography, telephone numbers, performance, sculpture, painting and installation, her projects investigate the tension between physical and digital iterations of identity and existence. Her video works and performances have premiered at galleries, museums, and festivals internationally. In 2010, her video Scenic Jogging was one of the 25 selections for “Youtube Play: A Biennial of Creative Video,” and exhibited at the Solomon R. Guggenheim Museum, New York; Peggy Guggenheim Collection, Venice, Italy; Guggenheim Museum, Bilbao, Spain; and Deutsche Guggenheim, Berlin, Germany. 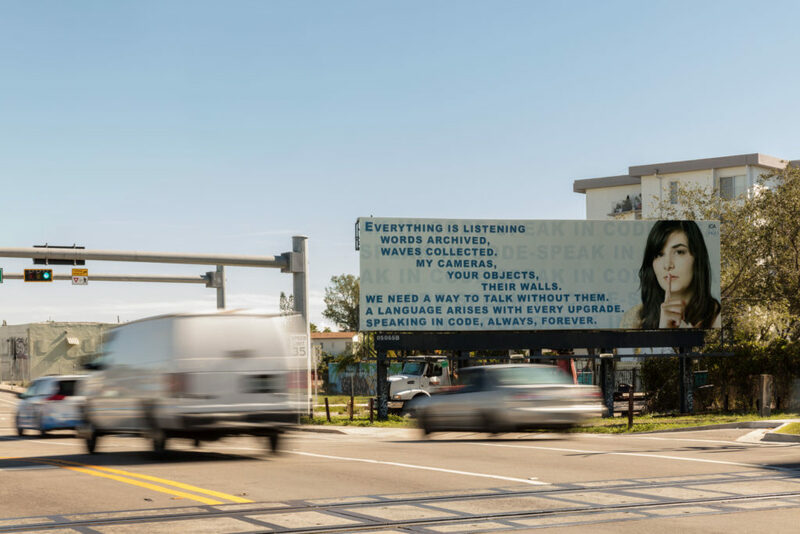 Mayer is a recipient of the Creative Capital Fellowship (2015), the South Florida Cultural Consortium’s Visual/Media Artists Fellowship (2011 and 2014), Cintas Foundation Fellowship (2012), and was named one of the “25 New Faces of Independent Film” by Filmmaker Magazine.